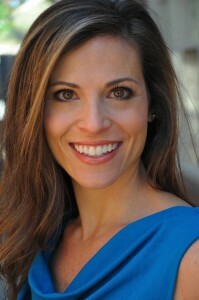 Jennifer Tardelli is a licensed psychotherapist specializing in women’s issues with over twenty years of experience. By combining a supportive and empowering approach to therapy, Jennifer encourages clients to create lasting change, manage symptoms and work through issues to live optimally. Clients are able to find relief from plaguing symptoms by implementing new skills and by developing a deeper understanding of their issues. Jennifer encourages a strong therapeutic relationship that is essential to a client’s success by being warm, relaxed and approachable. Clients can feel comfortable discussing issues without judgment and feel safe and accepted. Before entering private practice, Jennifer provided mental health counseling in a variety of settings including an adolescent health clinic, community mental health, outpatient hospital, in-home family therapy, in-school therapy (adjustment counseling) and private group therapy. Jennifer is a Licensed Professional Counselor in the state of Georgia and a National Certified Counselor through National Board of Certified Counselors. Jennifer holds a Master of Arts degree in counseling psychology from Framingham State College (2001) and a Bachelor of Arts in communication and art history from Stonehill College (1994). Jennifer employs a diversity of therapeutic modalities such as family systems theory, cognitive behavioral therapy, psychodynamic theories, reality therapy and attachment theories to facilitate symptom relief and management. Jennifer works with clients struggling to manage depressive symptoms and implement productive coping skills for Major Depression Disorder, loss and grief. Jennifer works with women struggling with stress management, generalized anxiety, panic attacks and phobias. Jennifer helps clients manage symptoms and develop effective coping skills. Jennifer works with clients struggling to manage relationships, handle conflict and balance life’s stressors. Jennifer teaches conflict resolution skills, self-advocacy, value realization, goal setting, healthy relationship skills, problem solving skills and emotion management. Jennifer works with clients who are transitioning into new phases of life such as becoming a mother, leaving a relationship, entering college and entering a career. Jennifer helps empower clients to design the transition to create a positive, fulfilling and nurturing experience. Jennifer works with women struggling with pervasive food and body image issues by implementing a non-diet approach to eating, feeding and nurturing the whole self. Jennifer works with women struggling with bulimia, compulsive overeating, body dysmorphic disorder, food obsessions, exercise compulsions, orthorexia (rigid diet and food limitations) and other related concerns. Jennifer works with clients struggling with decisions and transitions related to becoming pregnant, becoming a mother, having a baby with chronic health issues, pregnancy loss and infant loss, antenatal and postpartum depression and anxiety. Panic Attacks – What is Going On with Me? Jennifer provides therapy in a private practice setting. Jennifer charges a flat fee and is considered an “out of network provider” to insurance companies. Jennifer will provide the appropriate paperwork for clients to submit to insurance companies for reimbursement per request. Call me at 404-733-0383 or complete the following form. Jennifer sees clients at her home office located in the heart of Morningside in Atlanta. Jennifer Tardelli, MA, LPC, NCC © 2014 - 2019. All Rights Reserved.